If you’re not getting the results you want from your training program, it may be because you’re operating with some training principles that don’t really hold water. Let’s look at some important training facts compared to some popular training myths. MYTH: The best way to teach is to have a well-planned lecture prepared. FACT: Lecture is one-way communication and forwards the underlying message that the lecturer is knowledgeable about the material and the learner isn’t. It often leaves the learner feeling inadequate. MYTH: If learners would just listen better, they would remember more. FACT: Learners will remember 20% of what they hear, but 90% of what they do and say. The learners need to be the ones talking about the subject matter. Get them involved in the content and context. MYTH: Having the learner read the materials, then pass a written test, is a surefire way of ensuring the learner has mastered the task. FACT: Testing serves a very important purpose in training, especially for content that requires your restaurant to prove compliance. Testing reinforces the necessary knowledge you’ve shared to perform a task. However, it does nothing to demonstrate if the learner can translate that knowledge to the performance of the physical task. When you use testing, such as in your online training program, think of it as a stepping stone to motivate the learner to gain the knowledge necessary to perform the tasks. MYTH: If I want some “serious” learning to occur, I’d better get serious. A fun environment is not important when it comes to learning. FACT: Everyone learns better in a fun, low-stress environment without all the pressure of a serious setting. Today’s workforce demands it. After all, the restaurant world isn’t a nuclear testing lab. Don’t treat it like it is. MYTH: Allowing the learner to tell stories when a particular topic comes up is foolish, costly and a waste of time. FACT: Stories reveal true-to-life applications and examples of the subject matter being discussed. 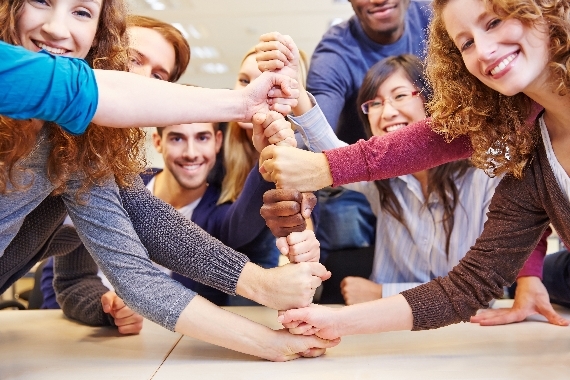 Stories often provide a bridge from your text and philosophy to the real work world. MYTH: The most efficient and cost-effective way to teach is to simply tell them. FACT: Generally, listeners will only remember 10-20% of what they hear. Costly mistakes often occur early in the job because of this, resulting in costly re-training. What do all these training facts and myths tell us? It all boils down to this: training is about the learner, not about the content. Sure, your content needs to be well organized and driven by clear training objectives, but even the best training plans will fall flat if they’re not delivered well. Make sure your training program uses blended training strategies that give learners a chance to practice what they’ve learned. Excerpted No Train? 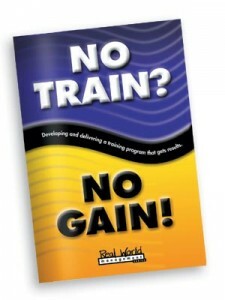 No Gain!, Developing And Delivering A Training Program That Gets Results. This easy-to-read management handbook offers restaurant managers concrete analysis and execution strategies to optimize an existing training program or create a new one. Designed specifically for the restaurant industry, the Service That Sells Real World Management Series handbooks can be read, understood and actionable in less than an hour.